The mission of the Bowie Hockey Club Recreational program is to teach kids the fundamentals of ice hockey in a recreational environment; to foster a spirit of sportsmanship and fair play; to provide a setting where learning about the game of hockey is fun and safe; and to promote affordable youth hockey opportunities in the metro area. The Recreational program is also designed to assure equal opportunity to participate and to assure even competition of players at the same level. Games are scheduled throughout the season against other clubs in the Capital Corridor Hockey League (CCHL) that have "In-House" or "Recreational" programs. No Tryouts are required. Players of all skill levels are welcome. 8U (Mite) House League (4yr - 8yr) See the Mite House League link for more detail. The season begins in early October and concludes in March. Most practices are held at the Bowie Ice Arena and games are scheduled at Arenas throughout the metro area. Typically, no further than a 1-hour drive. There will be one (1) game per week, on either Saturday or Sunday. Along with a weekly hour-long practice. All practices and games are scheduled for 60-minute sessions. The Bowie Hockey Club Recreational Registration for returning members will open Saturday, May 1, and for new members on June 1. Only returning members may register from May 1 - May 31. If returning members fail to register before May 31, their place in the club cannot be guaranteed. Recreational Registration deadline is September 1. Our Recreational program will begin in early October, and end in March. 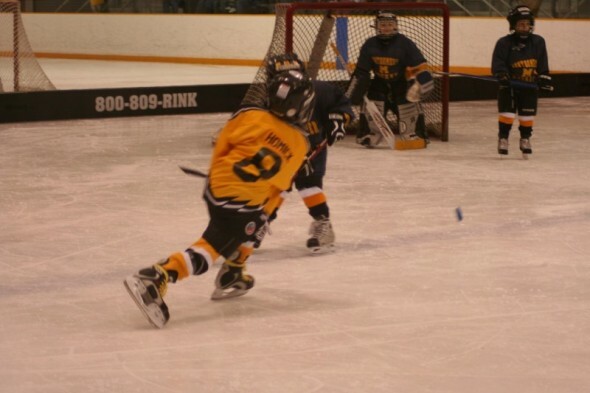 The 8U (Mite) thru 14U (Bantam) levels players will have one practice and one game per week. For more information regarding our In-House 8U (Mite) League “click” Rec. Programs and “click” Atom/Mite House League, in the left navigation menu. For questions regarding registration contact Lori Jones at . Participants in the Recreational program should have skating ability skills as established in the Learn to Skate programs, Alpha/Beta Level as established in the Bowie Ice Arena Learn to Skate program. 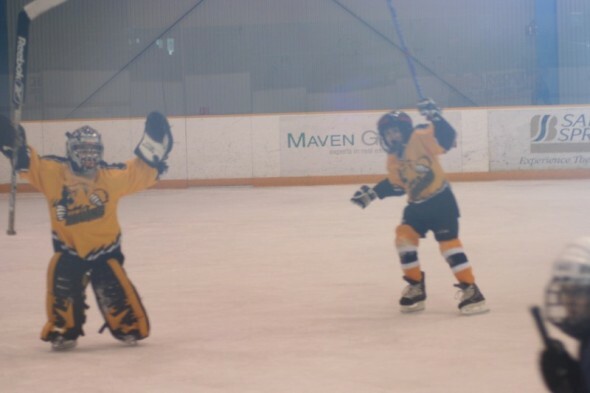 Ice hockey experience such as participation in the Bowie Hockey Club Future Bruins Prospect or attendance at ice hockey camps is not mandatory, but is quite beneficial.